A veteran of media, entertainment and multicultural marketing, Antoinette Zel is the CEO and Co-Founder of The Story Room, an international digital and social media marketing agency based in Miami, with operations in Los Angeles and across Latin America. Considered a pioneer in US Hispanic media, Antoinette has been at the forefront of watershed moments in US and Latin America media for the past 20 years. A graduate of Columbia Law School, Antoinette was an entertainment lawyer in Manhattan representing top music and media clients; thereafter, she joined Viacom International in NY, and spent 15 years there – first as Senior Counsel for Nickelodeon, then relocating to Miami to launch Viacom’s Latin America operations. 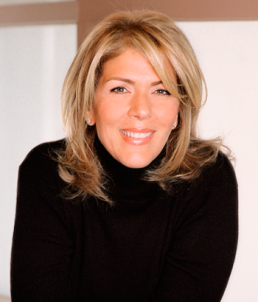 She operated first as General Counsel and then as President and CEO of MTV Networks Latin America, spearheading the creative and commercial operations of MTV, Nickelodeon and VH1 for 22 countries in Latin America. After a 4-year role operating as COO and CMO of NBC Universal’s Telemundo Broadcast Network, Antoinette pivoted to a deeper marketing role as CEO of international ad agency La Comunidad, managing global clients like Apple, Converse, Volvo and Corona beer amongst others. Resulting in its sale to Sapient/Publicis, Antoinette pivoted back to media and became the CEO of El Rey Network, filmmaker Robert Rodriguez’ ground-breaking bicultural media company and cable TV network. Strengthened by her expertise in digital media, creative content and young multicultural audiences, she founded The Story Room in 2016. With a team of 40 digital savant creatives who produce video to editorial to websites anchored to smart digital-first strategies, the Agency specializes in entertainment, media and sports verticals, with clients like the NBA Latin America, Marc Anthony, Food Network, Sony Music, Presidente Beer, FIFA and more. Antoinette is a bilingual, second-generation Cuban-American, based in Miami Beach, Florida.